Hear Ye Hear Ye!!! Looking for a place to have lunch on the go and easy on the pockets? 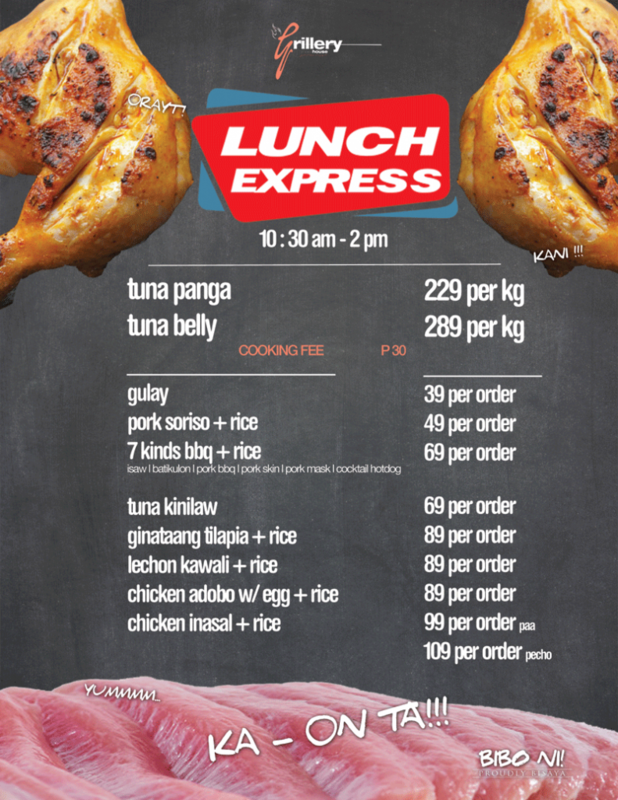 The Grillery will be serving home style pre-cooked Lunch meals starting at P50 – daily from Thursday, May 19 onwards.